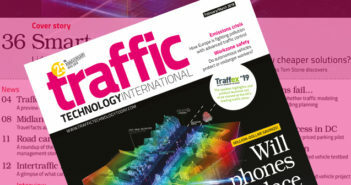 The Florida Department of Transportation (FDOT) has released a major upgrade to its FL511 traveler information system’s mobile ‘Connect. Know. Go.’ smartphone application. The mobile app is a component of the Florida 511 (FL511) Advanced Traveler Information System (ATIS), which provides real-time traffic and travel conditions on Florida roads. The FL511 system is the state’s official source for traffic and travel information and provides information on congestion events, crashes, construction and maintenance activities; and travel times on all interstates and toll facilities and several other major Florida routes, so drivers can make better choices about their travel plans. This information service is accessible by mobile app, website in English and Spanish, Twitter messages, Facebook, Instagram, texts alerts and more. FL511 provides camera views on major Florida roads, so users can see road conditions throughout the state. The goal is to provide information about current conditions to keep traffic moving safely and efficiently. To accomplish its goal, FL511 offers the latest information on transportation services and conditions throughout Florida, 24 hours a day, seven days a week. The ability to display road closures and detour maps. The upgraded FL511 Mobile App is now available for download to smartphones using the Apple and Android operating systems, with current users receiving an automatic update on their smartphones. 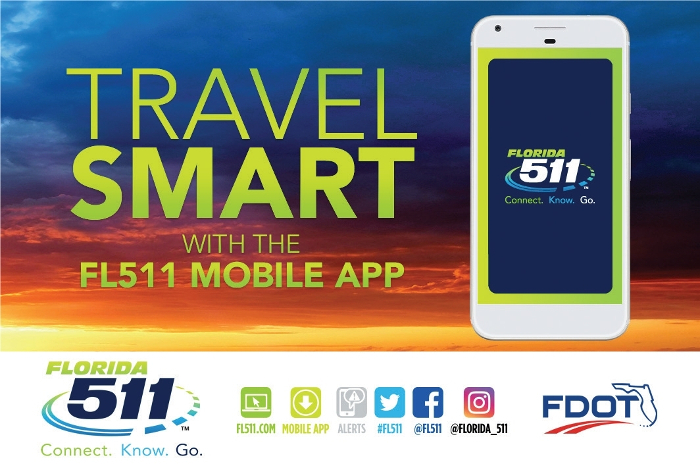 FDOT recommends that before heading out on a journey, drivers should check the FL511 app or interactive road map on the FL511 website for important traffic information and incident alerts. Once on the road, they are advised to have a passenger check the app in order to avoid using a phone while they are behind the wheel. Passengers can also view roadway camera snapshots showing current driving conditions on their route. Motorists can now use the Drive Mode with its voice interaction feature and speak a request to their destination. The FL511 mobile app features an interactive map showing traffic congestion, incidents and camera snapshots on roads around the user’s location.